TWO DAY LECTURE, DEMO AND TRUNK SHOW!! 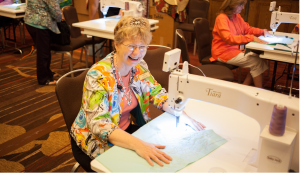 Baby Lock Certified Ambassador of Education Cathy Brown will present an exciting and fun-filled event that will inspire you to machine quilting greatness. Cathy has been teaching quilting for 15 years. She joined Baby Lock as an Educational Consultant in 2009. 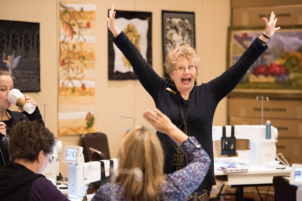 Join Cathy for a presentation of four projects that will make your embroidery machine hum with excitement. Learn new techniques with your embroidery machine and sewing tips that make any project look more professional. You will receive the instructions for all four projects! 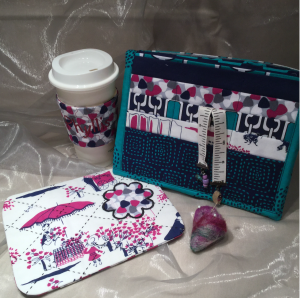 Quilting and Embroidery - Together at Last! Are you a dedicated quilter, who is just a little curious about what all this "embroidery machine" fuss is about? Are you totally into embroidery and never thought that a large quilt project was in your future? Well it's time for us all to get together and create something spectacular. We will explore a variety of techniques for all sizes of machines and the capabilities of embroidery machines from entry level all the way to the top of the line. 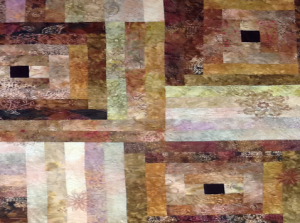 The Secrets of Free Motion Quilting Revealed and Quilting with Rulers! 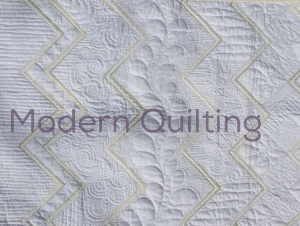 This lecture/demo will include a demonstration of great quilting on all types of machines. Emphasis is on free motion techniques and a comparison of all the Baby Lock quilting machines so that you can make the correct choice between all the different styles of machines. Cathy will also feature ruler work on domestic flat bed machines and on the Baby Lock Coronet quilting machine. Cathy show inspiring samples and some great must have notions to make moving the quilt easy for everyone. 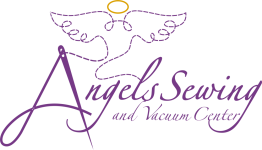 Additional topics will include loading a quilt onto a frame, setting tension and more on the Baby Lock Coronet quilting machine. The features of this quilting machine and benefits of this machine will be compared to free motion quilting on other machines.